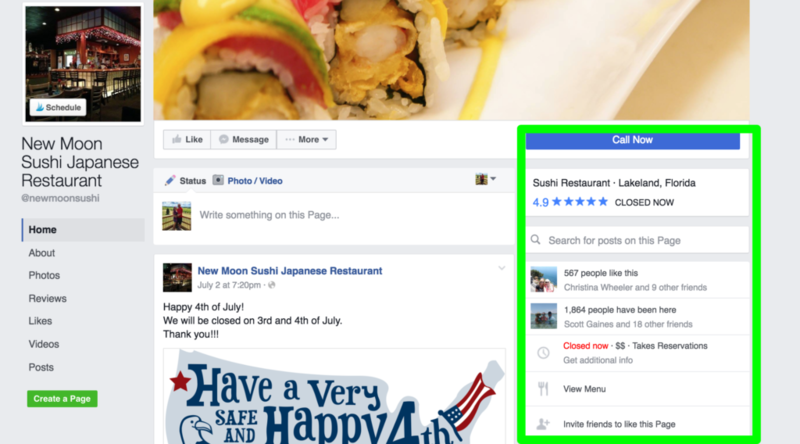 Just when you thought you had it figured out, there are new Facebook changes coming to your business’s page. No worries, TBA Marketing can help explain what will be coming your way! 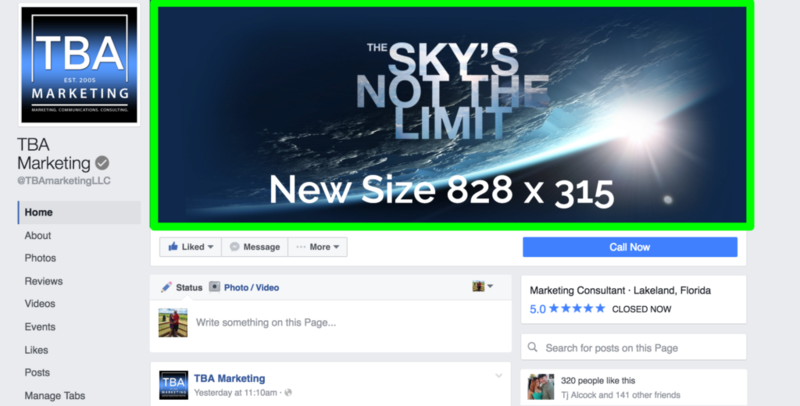 As of mid July 2016 your Facebook Page’s cover photo displays at 828 pixels wide by 315 pixels tall on computers and 640 pixels wide by 360 pixels tall on smartphones. Your cover photo will also be completely on its own. This means your call to action and profile photo have changed locations too and will no longer be positioned overlaying your cover photo. Use a sRGB JPG file that’s 828 pixels wide, 315 pixels tall and less than 100 kilobytes for the fastest load time. For better quality photos (but slightly longer load time) use PNG files. Your Page’s profile picture is remaining the same size; displaying at 160×160 pixels on computers, 140×140 pixels on smartphones and 50×50 pixels on most feature phones (However, the image must be at least 180×180 pixels for quality purposes). As mentioned above, your profile photo will no longer be an overlay on top of your cover photo, it will be moved to the far top, left side of your page. Your Call-To-Action button has changed locations. It will now be featured underneath your cover photo on the right side. 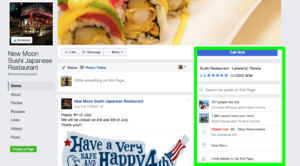 Location, check-ins and sharing information will now be located under your Call-To-Action button on the right side of the page. 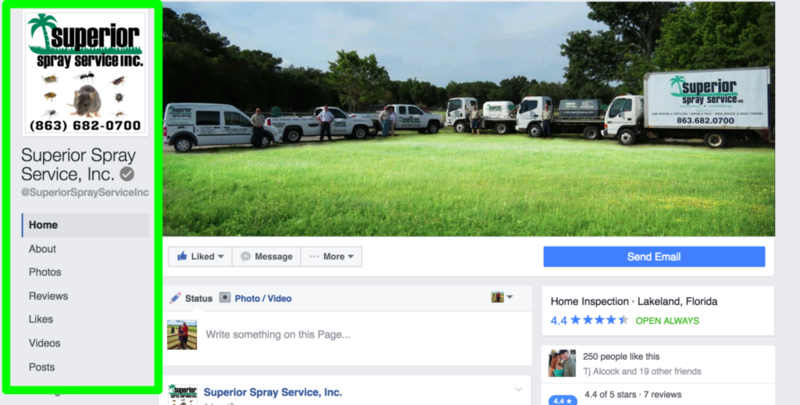 If you need additional assistance understanding these changes or would like an audit of your social media pages drop us a message or call us at 813-501-2932 for a consultation.